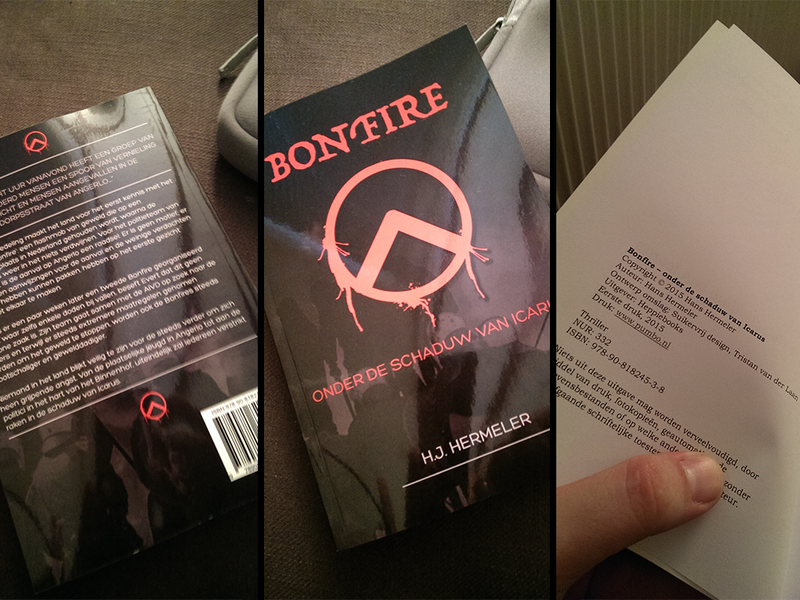 It’s always nice to see a happy client, and the amazing author Hans Hermeler has gifted me one of the issues of his latest book “Bonfire – Onder de schaduw van Icarus”, for which Suikervrij designed the cover. This thriller has compelling characters and is a great read for everyone who needs a bit of excitement. It’s being printed as this is written so hurry over to your local online retailer and order your (Dutch) copy now!